Every once in a while, I come across the summary of a science fiction novel that intrigues me. I mean, really intrigues me. One that makes me want to get my hands on the book as soon as possible. 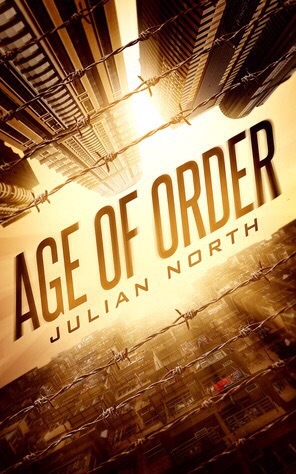 That’s exactly what happened when I read the summary for Julian North’s Age of Order. This novel sounds fantastic, which is why I’m so happy to be helping reveal the trailer. When you’re ready, you can check the trailer out here. Then you can come on back for a bit more information about the book–and a giveaway to help celebrate! Doesn’t that just look incredible. It does such a great job of getting the atmosphere across, and of pulling its viewers in.